I make the most unrealistic and gut-destroying roller coaster my mind can imagine. It’s twisted, it’s fast, it dives under the ground, and scrapes the sky. I can’t imagine that any human being could withstand the g-forces a coaster like this would exert on their body, but it wasn’t this moment that sold me on Planet Coaster. It wasn’t till I played with the dirt that I knew this was something special. It’s odd to spend any length of time talking about the terrain in a game centered around building roller coasters and managing a theme park, but the makers of Elite Dangerous have done something amazing — they made everything easy. Developer Frontier Studios set out to make a coaster creator for a new generation, and they have clearly suffered many of the same frustrations that past products brought to the table. Sure, they could all build serviceable roller coasters, but the terrain systems were clunky at best. I’d spend an inordinate amount of time creating a beast of a roller coaster only to spend twice as long fighting with the design tools to put the smallest hills or valleys in. Pushing a coaster underground, running it through a building, or having it cross anywhere near one another was often more effort than it was worth. It’s here that Planet Coaster differentiates itself. While this preview is based entirely off of only the second Alpha pre-release of the game, it is already shockingly simple to create just about any sort of landscape you could imagine. Best of all, you can do it after you’ve built your coaster. While this Alpha 2 is bare bones in terms of customization, there are already absolutely amazing things being done with it. One Redditor (RudiRennkamel) built Optimus Prime out of 65,000 pieces (you can check out a timelapsed version here), and another (enjoyFitz) created a Viking ship out of 1250 parts. (image here) But what if you don’t have the ingenuity or time to create something so incredible? In Alpha 3, Planet Coaster will support blueprints, allowing players to import the creations of others into their park. There is a great deal more to do in developing Planet Coaster so that it’ll be ready for prime time this fall, but it’s already better than any coaster builder ever made. For a game to hit such a high benchmark this early is a testament to the hard work of the teams at Frontier. It’s amazing what they’ve accomplished already, and with the addition of Steam Workshop support, the sky is truly the limit. Stay tuned for additional reports on Planet Coaster as it progresses through what has to be the most functional Alpha I’ve ever seen. If you are a coaster-head like I am, or you just enjoy managing your own park, Planet Coaster raises the bar. 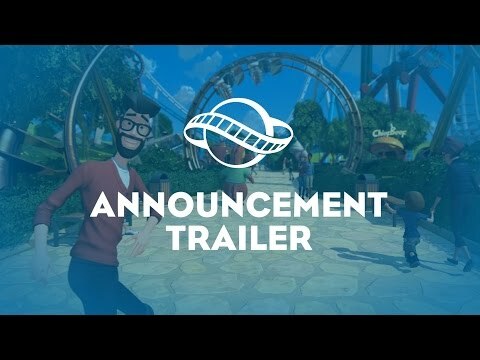 Planet Coaster is coming to PC in Q4 of 2016, and will come to Steam on August 23rd for Early Access.